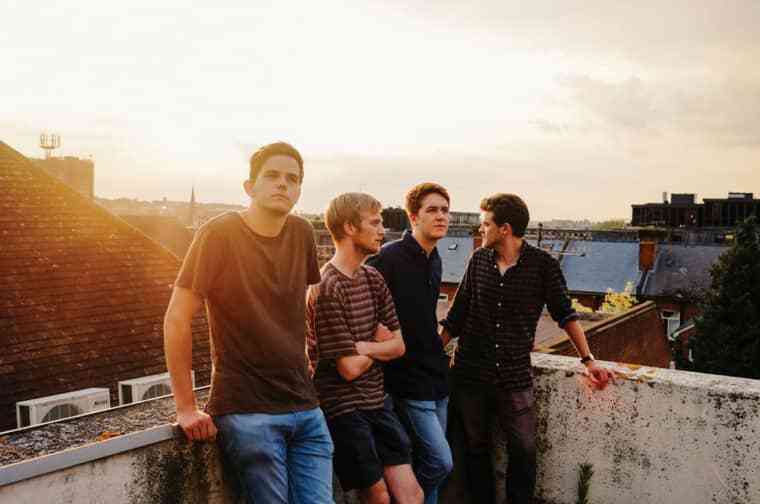 One of the first things we ever heard from Leeds four-piece Adult Jazz was "Springful," a stunning, skeletal rock song that's full of tiny weird moments. That's what makes it such a good candidate for a hallucinatory remix courtesy of Shabazz Palaces; the Seattle duo take advantage of the strange sparseness, filling in the empty spaces with slightly sinister grooves and highlighting singer Harry Burgess' memorable crooning with some rearranged vocal patterns. "Shabazz Palaces had us at dancing around with giant maracas at Brudenell Social Club in Leeds in 2012," says Burgess, who recently spoke to FADER at length for our GEN F profile on Adult Jazz, over email. "We've been massive fans since Black Up so a remix from them felt really special." The Adult Jazz dudes are about to play their first ever string of US live shows, in NYC, including a pit-stop at our own FADER FORT Presented by Converse on Friday. Check out all four shows on the poster below.